Home / Blog / We Do / How Much Does It Cost to Hire Overseas Startup Developer? Business creation process became much easier during the last couple of years. Due to globalization, we now are presented with opportunities we never had before. This is mostly can be seen through such new options as overseas hiring and outsourcing. Modern companies want to be relevant on the market, which requires them to constantly come up with new decisions and strategies to keep their business competitive. Though not all companies are able to afford being in this competitive rush. This is especially relevant for startup companies that are low on a budget. In this case, outsourcing is your best shot and you can do that by hiring an overseas startup engineer. Web development is just one of the more sought after careers and projects in our technological age. With everything being accessible through the Internet, quality websites have the capability of elevating businesses on a worldwide scale. Having skilled developers on your development team definitely contribute to developing quality websites, however, majority of web development costs are from web programmer salary. This is mostly felt when hiring developers for startup development projects. To mitigate the costs, businesses find various avenues, one of which is to hire overseas startup developer for startup web development projects. This can either be through outsourcing or offshoring entire or parts of their projects. For this venture to be indeed advantageous, reviewing how developer rates have progressed and is projected to perform can be necessary. Overseas hiring or as it is now called, outsourcing, is a common practice these days. Surely, you have seen this term at least once. Outsourcing means that you or your company delegate part of tasks to an outside executor, for example when you decide to hire overseas startup developer. However, you have to clearly understand the difference between outsourcing and a one-time support case. If you hire overseas startup engineer be ready to sign a contract with him, as your collaboration will definitely last for a while. Usually the main reason for overseas hiring is the desire to save up some time by outsourcing some of monotonous tasks to your overseas startup engineer. In the meantime, you can point all your attention towards major tasks that cannot be delegated to anyone else. Cost reduction. By hiring an overseas startup developer, you can significantly reduce your expenses. You will be able to pay smaller rent and taxes which is especially relevant for startup owners. Setting your focus on primary tasks. By outsourcing easier and more monotonous jobs to your overseas startup programmer, you are freeing your time to take care of more urgent tasks and give them your full dedication. Finding new talents. Programming and software development is the field, where sometimes creativity counts even more than skills. This way, hiring specialists for your startup overseas might give you a chance to find some truly spectacular employees on the other side of the world. Improving the technological side of your project. Overseas startup engineering allows you to use a more thorough approach to the technological side of your startup. Eventually this might be the very thing that distinguishes you from competitors. Deep knowledge of at least two programming languages. In this case, the more – the better. In most cases, overseas startup programming requires from the developer to be able to switch between languages. Experience with different software tools. A great thing about overseas startup development is that most of these specialists have worked with various tools on different projects before you hired them. That makes them versatile in terms or getting used to your project and operating within it with wider spectrum of tools. Ability to manage their time efficiently. Any overseas startup programmer for hire is basically a freelancer, so you will not be standing behind his or hers back and checking their every action. That is why your future employee has to know how to manage his time on his own without breaking the deadlines. Great communication skills. This is essential for any overseas startup developer for hire to be able to communicate with the rest of the team to finish the job as fast and with as much quality as possible. Now that you learned about benefits of overseas startup programmer for hire on your team, it is time that you learn about overseas startup cost. In the US, the overseas startup development cost averages around $70/hour, or over $100,000 annually. Although it is projected to increase by 15% from 2026, the demand for developers will be affected by very high web developer rates. Aside from the US, Australia, and Switzerland are among the top 3 countries that have the highest overseas startup developer salary. In contrast, India, Pakistan, and Ukraine belong to the countries with the lowest overseas startup development cost. Due to this average overseas startup engineer salary, startup development companies or project would instead hire overseas developers, offshore or outsource, for their development needs. In order to manage web development costs, businesses engaged in startup development projects would prefer to employ the services of overseas developers for startup; maybe through outsourcing or offshoring their projects. As we already mentioned, the primary reason for business and startup owner to get involved with overseas hiring is to reduce costs. Obviously to do that successfully one would have to check out rates for such services first. Given the competitive and rising web developer prices around the world, it is even prudent to better understand how high web development costs can be. To aid you in this, outlined below are just some of the average web developer salary rates of major countries with web developers for hire overseas. From the web developer rates listed above, evidently, it is most cost-effective to hire overseas developers from Ukraine. This is most helpful and advantageous for startup development businesses or projects. Looking For Overseas Startup Programmer for Hire? Mobilunity Is Here To Help! Low and transparent prices. You always know what you pay for. 24/7 customer support. Do not be worried – your questions regarding your project will be answered at any time, be it night or day. Competent specialist. Mobilunity is the place where you can hire excellent programmers and developers with profile high education and numerous years of experience. Lots of choices. 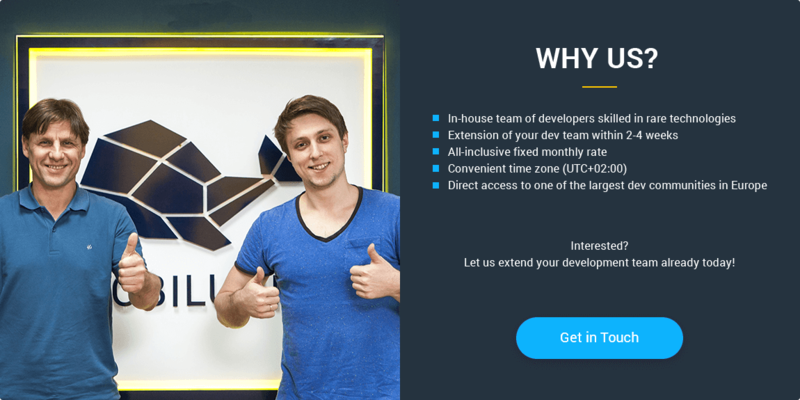 If you decide to hire your overseas startup developer from Mobilunity, you can be sure that there will be more than two or three options to choose from. Convenient location. Mobilunity is located in the heart of the Eastern Europe, which gives you a convenient time zone to communicate with its specialists and your potential employees. Quick hiring process. At Mobilunity the comfort of the client comes first, so you will not have to wait long until your team of developers starts working on your project. Worry not of high developer costs! Mobilunity can provide you with skilled we developers that can assuredly provide high quality output for your startup development project! And at a manageable costs! As you can see now, overseas development is an extremely helpful practice that can save you lots of money and nerves these days. Just make sure that you checked out your potential candidate’s resume first and found all those essential developer’s skills in it. In addition, hiring your developer from Ukrainian company is a great idea, as this country offers low prices and high quality of results. Make sure you check out Mobilunity as well, it is one of the best Ukrainian outsource companies out there. They will make sure that your project is handled the best way possible and by the most skilled specialists.